When you install Drupal and you are ready to proceed with the development of your website, the first task is to edit the information on your website. 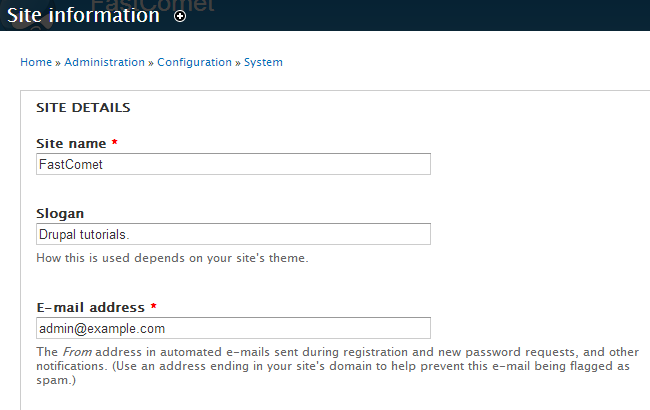 This includes setting the name of your website, email for communication with your users, site locale and timezone, etc. To edit the basic information on your website, you need to log into your website as administrator and then navigate to the Configuration tab from the main menu. 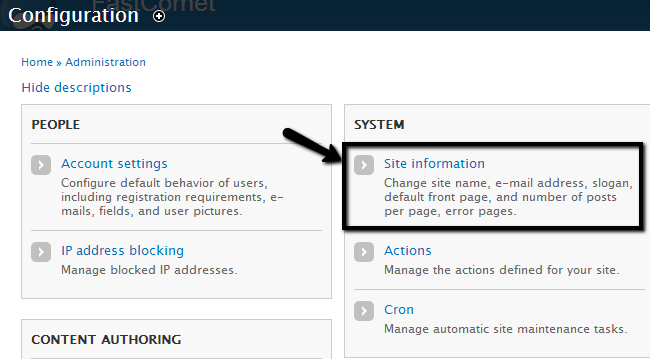 Locate the System tab and select the Site Information option. Slogan - Enter the slogan for your website. E-mail address - Enter the system email address. Front Page - Choose how many posts to be displayed on the front page. Also, you can set the default front-page from this section. You need to navigate to the Configuration tab from the main menu again. Locate the Regional and Language section and click on Regional Settings. Default country - Enter the default country for your website. First day of the week - Select the first day of the week. 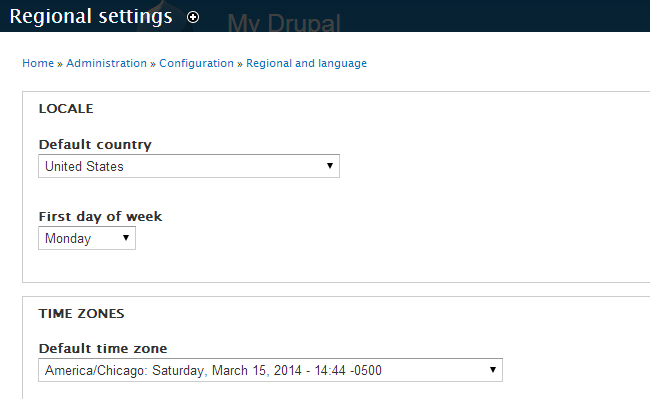 Default timezone - Select the default timezone and then configure if a user has permissions to choose own timezone. This will require registration.